Here is International Flowmeter Supplier talking about How to choose the correct sulphuric acid electromagnetic flowmeter lining. If you have any idea about International General Model Electro Magnetic Flowmeter, welcome to contact us and discuss. 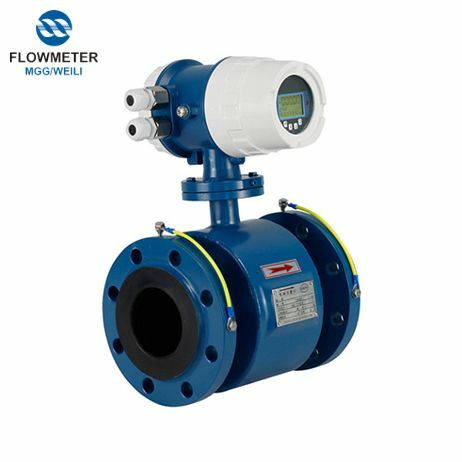 How to correctly choose the electromagnetic flowmeter material, electromagnetic flowmeter as a commonly used flow meter, the choice of material is a very important issue. Because the electromagnetic flowmeter has only the inside of the electrode and the measuring tube in contact with the medium, it is necessary to properly select the material of the electrode and the lining according to different media properties. 1. Stainless steel, suitable for use in nitric acid, less than 5% sulfuric acid at room temperature, boiling phosphoric acid, formic acid, an alkali solution, sulfuric acid, seawater, acetic acid at a certain pressure. 2. Hastelloy B and Hastelloy C. Can be used in seawater, salt water. 3. Titanium. It can be used in seawater, various compounds and secondary hydrochloric acid, oxidizing acids (including fuming nitric acid), organic acids, alkalis, and the like. 4. The remaining chemical media other than fuming sulfuric acid and alkali, including boiling point hydrochloric acid, nitric acid and <175 ° C sulfuric acid can be used. 5. Platinum. Can be used in a variety of acids, bases, salts, but does not include aqua regia. Second, how to choose the lining material is also crucial, how to accurately choose the lining material. It must be noted that the lining material should be selected according to whether the characteristics of the measured medium are corrosive, abrasive, and temperature. 1. Rubber. It has excellent elasticity, high tearing force, good wear resistance, resistance to general weak acid and weak alkali corrosion, and can measure water, sewage, mud, and pulp. 2. Polyurethane. It has excellent wear resistance, acid and alkali resistance, and can measure medium-strong and strong wear of coal slurry, mud, and slurry. 3. Polytetrafluoroethylene. Boiling hydrochloric acid, sulfuric acid, nitric acid, aqua regia, concentrated alkali and various organic solvents, good wear resistance, and poor bonding performance. At the same time, the International General Model Chemical Flowmeter Supplier can be offered for you. Looking forward to receiving your inquiry kfweili@163.com.